A review of Acuity Mutual Health Insurance leads to the Acuity Insurance Company. Unfortunately, Acuity Insurance Company does not sell health insurance. Instead, they sell business insurance products, personal home insurance, and personal auto insurance policies. Acuity focuses on customer satisfaction and community service. 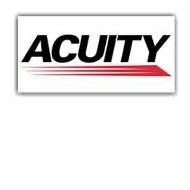 Acuity Insurance Company was established in 1996 with the idea of creating a great work environment for employees and excellent customer service for customers. They offer commercial and personal insurance lines which can be customized to fit your personal or business needs. Acuity commercial insurance is specifically designed for three categories: contractors, retail, and manufacturers. Contractors represent workers such as carpenters, window installers, drywall installers, electricians, tile workers, and roofers. Contractors are protected from personal injury as well as any damage or injuries that happen while on the customer’s property. Retail business insurance covers a wide variety of areas that may or may not be thought of as retail. Some covered businesses are motels, hotels, day care centers, churches, publishers, restaurants, truckers, garages, synagogues, and wholesaler distributors. These businesses are covered for personal injury and customer liability. The manufacturing industry represents areas such as clothing, electrical, glass products, paper goods, rubber products, machine shops, food and beverage providers, and metal goods. These types of businesses need specialized insurance coverage due to the types of injuries and customer lawsuits that can take place in the manufacturing industry. Personal insurance offered by Acuity represents a variety of coverage types. Almost all types of personal insurance are available when purchasing a policy. Some examples of coverage are auto, home, fine arts, rentals, furs, computer, farming equipment, motorcycle, coins, cell phones, guns, watercraft, jewelry, and antique cars. Personal coverage is mostly liability and theft. You can add or take away from a personal policy to customize it. Protecting the things you have worked hard for will ensure that you have the coverage you want and need. You can add anything you wish to the policy as a rider. Acuity has some of the top employers in its headquarter city of Sheboygan, Wisconsin. The last four years it has been rated as one of the best 100 places to work in Wisconsin. They regularly recruit commercial lines underwriters, personal lines underwriters, and marketing regulation analyst. Positions are frequently posted on the Acuity website. Acuity has one of the best benefit packages available in the state of Wisconsin which is why is has been rated a top company by employees. Benefits include liberal vacation time, paid holidays, a relaxed dress code, a fitness center, an on-site cafeteria, a matching 401K contribution, wellness health insurance, dental insurance, vision insurance, and flexible spending accounts. One of the best parts of working for Acuity is the flex-time opportunity. They allow their employees to start work as early as 6 am or as late as 10 am. as long as the daily hourly requirement is met..For employee who want to work nine hour days, they are given an extra day off every two weeks to compensate for the longer days. Acuity offers scholarship programs for the daughters and sons of employees who meet certain requirements. Scholarships can be as much as $3,000 per year. For employees, tuition reimbursement programs are also available. Any classes taken that apply specifically toward work are covered. Claims can be filed with Acuity 24 hours a day, 7 days a week. Policy holders can file a claim online or call a toll free number. Through the website, customers can check the status of a claim, find an auto repair shop, file a claim, find a medial provider if an injury was involved, and report any misconduct by an affiliate. An average claim turn around time is less than one week as long as everything has been done correctly and submitted in a timely manner. So it only takes about seven days from claim to payout. As always, not every case is the same, claim times will vary from case to case. Even though Acuity does not offer health insurance, you can still enter your zip code in the free box now to compare health insurance quotes from several companies now!